Twins, Ethan and Eisley Lambent are preparing for the Awakening – a ceremony that will mark their coming of age upon their thirteenth birthday. Only days before their rite of passage the siblings learn of an ancient family secret that will lead them on a perilous journey into the unknown! 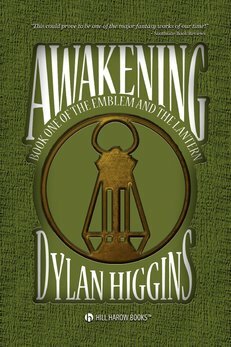 Leaving their home, Glæm: a country of undying light, Ethan and Eisley are drawn into a land of never-ending darkness called Gloam only carrying one source of light – an old lantern with mysterious qualities! Ethan and Eisley Lambent have been on an adventure wrought with danger!The monstrous Smarr is imprisoned but the mysterious creatures called Ancients have warned the twins that Smarr will not be held captive for long. Even more mysterious is the Ancients’ revelation that the Lambents will play a larger role in the coming events! Now that light has come to the once darkened land of Gloam, Eisley wants to go to the Gloamers. But, Ethan is considering a decision that would lead him down a different path than his sister!